We have 25+ attorneys and 100+ staff members dedicated to helping you put your life back together after a serious accident. From the moment you choose us, you will be surrounded by a team of personal injury professionals that are dedicated to fighting aggressively for you and your family. At Rainwater, Holt & Sexton, you’re never just a case number – you’re our number one priority. 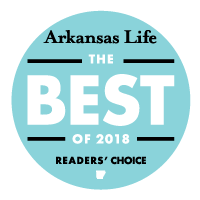 That’s why so many Arkansas residents continue to recommend us to their friends and families after a devastating accident. An accident resulting in an injury can be devastating to you and your family. During this time, you need a personal injury law firm on your side with the experience and resources to tackle even the most complex injury case. With five offices in Arkansas and Tennessee– Little Rock, Fayetteville, Conway, Hot Springs, and Memphis – we are ready to fight for you, no matter where you live. After an accident in Little Rock, Arkansas, it is difficult to know where to turn for help. Insurance companies don’t have your best interest at heart. That’s why you need a personal injury law firm on your side to stand up for your rights to compensation. We are not afraid to go toe-to-toe with insurance companies and we work tirelessly to achieve favorable results for all our clients. We can handle any case—large or small—no matter where you are. Whatever your injury, Rainwater Holt & Sexton knows how to fight for the compensation you deserve. All you have to do is call. If you’ve been injured by a defective product, you deserve a lawyer with the experience it takes to help you get the compensation you need. Our experienced attorneys aren’t afraid to take on large pharmaceutical companies. Fighting violence in the community is up to all of us, but some rise above the rest and become real difference makers. When charities and organizations make Arkansas a better place, their spirit is contagious - and it deserves to be recognized. Arkansas and Tennessee are our homes and we want to make sure our neighbors and friends are supported. With five offices locations—Little Rock, Fayetteville, Conway, Hot Springs, and Memphis–our personal injury lawyers are easily accessible when you need help.